The more claps they get, the more money they receive. If you come across a piece on Medium you can't read without an account, don't be surprised. 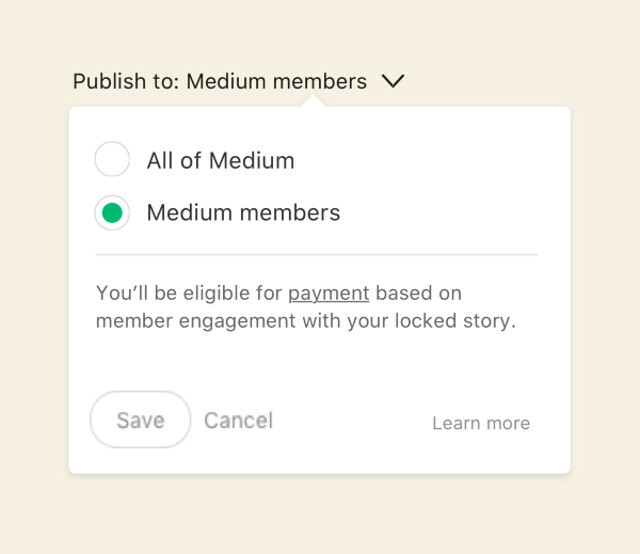 Medium has expanded its Partner Program to give users a way to earn money from their articles by publishing behind a paywall. The company has been testing the feature since March, but it has just sent out its first batch of invitations to a small group of writers and publishers who can now take advantage of the option. Every time they push a post a live, they can choose to make it visible to everyone or make it exclusive to the platform's subscribers. Even if you're not a subscriber, you'll still be able to read up to three free articles every month that are behind the paywall. As the image above states, participants' payments will be based on member engagement, especially the number of "claps" you give them. You know how you can leave Reactions other than Like on Facebook? Well, Medium has its version of Reactions and Like called "clap." Writers and publishers get a bigger percentage of your membership fee the more claps you leave their locked posts. In his announcement, Medium head of product Michael Sippey said they're at the "early days of what [the company] consider[s] a grand experiment." Medium will send out more invites in the future, and anyone interested can sign up to be part of the waitlist.